Clark Seif Clark provides indoor allergen and air quality testing services to identify environmental allergens and asthma triggers. For those sensitive to the presence of cockroach allergens, CSC offers indoor environmental allergen testing services to identify cockroach and other common indoor allergens. Cockroaches are one of society’s most commonly found pests. Worldwide there are thousands of species of cockroaches and several dozen are associated with human habitats. Of these, just a handful of species make up the vast majority of the pests found in homes, schools and offices. The insects are normally considered to be nocturnal, so people may not always be aware of an infestation until it has gotten out of hand. 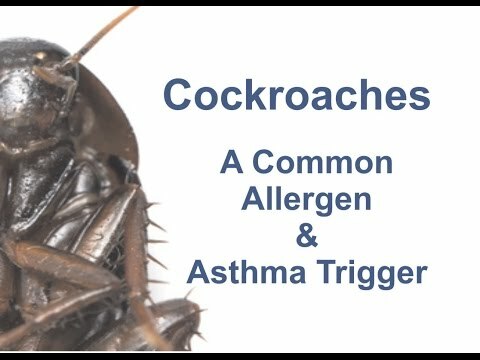 Not only can cockroaches spread pathogens, but they are also a frequent cause of allergic reactions in people and are a known asthma trigger. Some health experts also believe exposure to cockroach allergens may lead to the development of asthma in young children. Store foods in airtight containers and keep lids on garbage. Keep commercial and residential kitchens and food storage areas clean and free of clutter. Seal cracks and openings in kitchens and throughout a building. Reduce humidity and repair any parts of a building that have suffered water damage. Wash bedding frequently using hot water. Carpeting can act as a sink for cockroach allergens so regularly vacuum with a HEPA vacuum or consider replacing carpeting with another type of flooring. The use of cockroach baits and traps can also be effective. To learn more about environmental allergens or other indoor air quality, occupational, environmental, health and safety testing services, please visit www.csceng.com, email csc@csceng.com or call (800) 807-1118.